On April 2, Adam Gorlitsky intends to participate in the annual Cooper River Bridge Run, an elite, 10-kilometer foot race in Charleston, South Carolina. Which is not, in itself, all that remarkable, considering the event draws up to 50,000 participating athletes a year. But for Adam, the opportunity to compete in this world-famous event is more than merely remarkable—it’s a miracle of modern technology. Because by rights, Adam shouldn’t be able to compete in the race at all…or even walk. He’s paralyzed from the waist down, the result of a terrible car accident that happened over 10 years ago. But that’s the past, and Adam’s looking forward now to the future—and there’s a lot to look forward to. 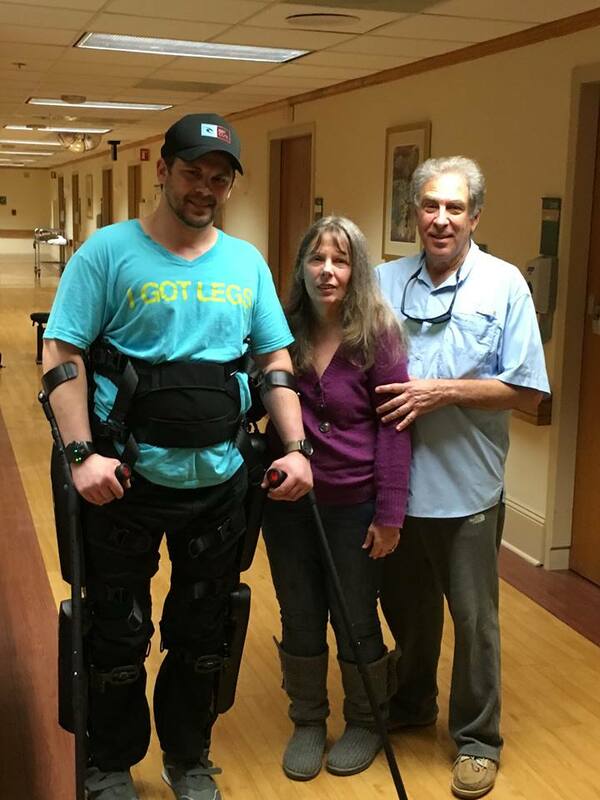 With the help of a new robotic exoskeleton, Adam can stand, walk, and get up and move in a way he hasn’t been able to in a decade. “[T]his technology is absolutely incredible. I describe it as ‘Iron Man meets Avatar,’” Adam says. And participating in the Cooper River Bridge Run is just the beginning. Adam’s involvement with this wonderful technology came about as something of a lark. As a member of the Roper/MUSC spinal cord injury center in Charleston, he was approached about testing the exoskeletal device. It did that and more. It changed his life. The exoskeleton was developed by ReWalk Robotics, originally for therapeutic and rehabilitative purposes. But more importantly, and less measurably, it was a means for patients to regain their confidence and self-esteem, merely by letting them stand up and interact with others at eye level again. 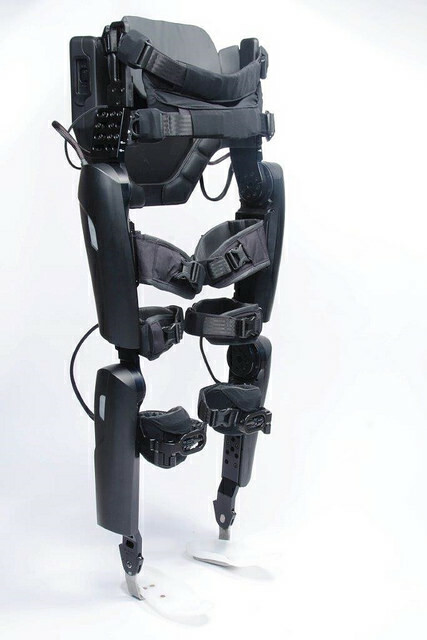 The “ReWalker” is described as a “light, wearable exoskeleton with motors at the hip and knee joints.” It is a battery-powered, computerized, robotic prosthesis that senses changes in the wearer’s center of gravity, and reacts to them by taking a series of steps cleverly orchestrated to mimic a natural gait. But it gets better. And a whole lot sexier. The latest evolution in exoskeletal technology is the ReWalk Personal 6.0, a sleeker, slicker model designed for personal use. Whereas the earlier model was for hospitals and rehabilitation centers, the 6.0 is all for the individual; it’s custom-fitted to its owner, and tailored to his or her especial needs and requirements. This is the model that Adam has, and intends to use to compete in the Cooper River Bridge Run. 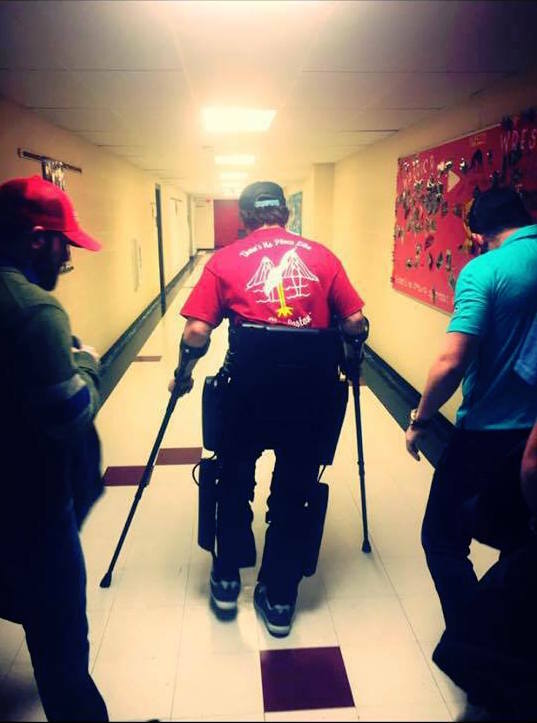 He started a GoFundMe campaign last fall, and began selling a line of “I Got Legs” t-shirts; eventually, he raised enough money to make a down payment on the new exoskeleton, which was presented to him by ReWalk on December 30, the 10th anniversary of his car accident. Adam’s even christened it “The Betty Carlton”—an homage to his late grandmother and Carlton Banks of The Fresh Prince of Bel Air (one of Adam’s favorite TV characters). Still, even The Betty Carlton could bear improvement—the ability to control the exoskeleton’s walking speed, and a wider variety of more naturalistic “gaits” and speeds for different situations would be ideal. And a lighter weight and collapsibility, for ease of transport, would certainly be helpful. But these will come in time. The important thing now is to get the word out, to see that those with spinal cord injuries—or who have otherwise lost the ability to walk—have access to the machines, and let the technology evolve from there. And Adam is hopeful that, as awareness increases, and exoskeletons become more widely available, the costs will lower, the materials will become lighter, and the overall design more efficient. And then we can look forward to a time when all paraplegics will be routinely furnished, not with something so crude and inadequate as a wheelchair, but with custom-fitted exoskeletal apparatus like the ReWalkers. And just think of what that would mean for future patients—not only in terms of giving them greater mobility, but in returning an approximation of their former lives. In the meantime, Adam continues to explore the boundaries of this new technology. It’s heartening and exciting to see how human innovation is beginning to blur, and even erase, that formerly insuperable divide between ability and disability. Someday, hopefully soon, the convergence of prosthetic technology and revolutionary medical procedures will abolish it altogether. But for the time being, Adam is content with seeing what his new legs can do. The Betty Carlton’s got a lot to offer, and he’s eager to put her through her paces. The Cooper River Bridge Run is coming up; after that…who knows? There’s traveling to be done, plenty more races to compete in, and a whole world of new experiences. Please click here to support Adam’s “I Got Legs” campaign, and help him raise money for his ReWalk exoskeleton—he has until the end of April to pay off the remaining balance. We also have some infographics, here and here, to help explain the functioning and current state of exoskeletal technology. And stay up to date with Futurism; hardly a week goes by without word of some wonderful new advance in powered or robotic prostheses.